1. 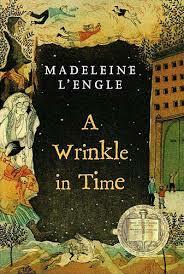 A Wrinkle in Time by Madeleine L’Engle. 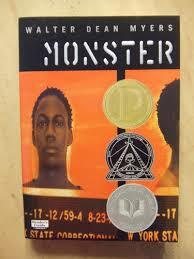 I’m reading this one with a group of 7th and 8th graders, and it’s been the highlight of my spring reading experience. It’s like I’ve dropped into a really interesting book club discussion where I’m a lot older than the other members, but they’ve been okay with that. Among other things, we’ve talked about the possibility of time travel, which was totally lost on me (and on them! ), religion, and the nature of good and evil. We considered music and art and mathematics as forms of language, and wondered if George Lucas and Jimi Hendrix had languages of their own. Over fifty years after its publication, L’Engle’s novel still succeeds in asking readers big questions about the power of art and love and all kinds of complicated stuff that kids love to grapple with. 2. 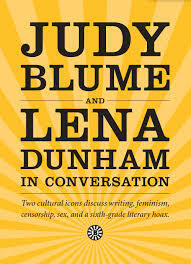 At the same time, I was reading a short book, published by McSweeneys, that is the transcript of a conversation between Judy Blume and Lena Dunham. I was an obsessive fan of Blume’s coming-of-age novels when I was young and even wrote a dramatic fan letter to her (yes, she wrote back – a real letter!) And although I’ve never seen Dunham’s popular TV show, Girls, I’ve read many interviews and think she’s kind of fascinating. As you would expect, their conversation is about reading, writing, friendship, and their very different experiences of being young women. The book is small (Peter Rabbit size) which contributes to the feeling you are holding this little secret conversation in your hands. An excerpt was published in the January issue of The Believer. 3. 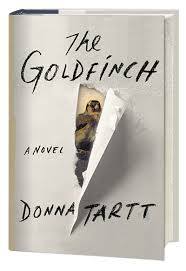 This one comes with an admission – I’m still reading (or more accurately, listening to) The Goldfinch by Donna Tartt. It’s been months and I’m only half-way there. If I would give up on the CD, the book would be finished by now, but I don’t care anymore. If I listen to the final CD in September, that’s fine. The Goldfinch is more than a book now – it’s a performance experience and this magical journey I’m taking in my car, even if I’m driving to the grocery store. I’m completely captivated by the way David Pittu gives voice to the many characters. Sometimes I back the CD up just to hear him say something again. For a few weeks, I kept thinking “the book would be so much faster,” but then it occurred to me that the only reason I would switch over is to have it “done” so I’m staying the course. The highlight is when Pittu speaks as Hobie. It makes me feel like I’m in an old New York City antique shop – time travel perhaps? 4. This is where it gets confusing….at the same time I was reading about Theo Decker’s problems with his “stolen” painting, I also read Under the Egg, a new middle grade novel by Laura Marx Fitzgerald. 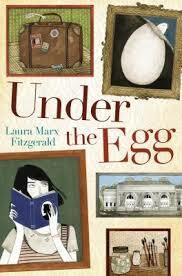 The main character in Under the Egg is Theo (short for Theodora) who finds a Renaissance painting in her home. A bad idea. Every time Theodora said something about her painting, I wondered if it was still behind her bed in Las Vegas! I had a mixed response to Fitzerald’s book, but thinking maybe I should read it again when my head is not so full of the other Theo. 5. 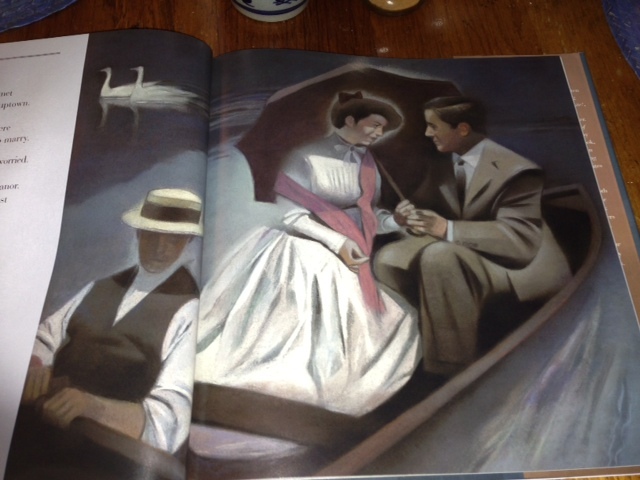 And, finally, I was reading a truly secret book – a novel I’m reviewing for School Library Journal. Luckily for me, the main character’s name is not Theo. Time to get in my car and return to Theo Decker’s life and David Pittu’s vivid reading….I must need something from the grocery! Of course, after thinking about it, I remembered that “Maria” is a role and that the character’s real name is Sonia Manzano. My mistake is just a measure of how real the Sesame Street family is to me – even at this age! Manzano’s novel, The Revolution of Evelyn Serrano, is wonderful. I finished reading it a few hours ago and after adding it to Inly’s Middle School summer reading list, I began thinking about which students will enjoy it the most. The Revolution of Evelyn Serrano is about a young girl’s political coming of age in a Puerto Rican Harlem neighborhood. Rosa Maria Evelyn del Carmen Serrano is 14-years-old in the summer of 1969, the year she is claiming her independence. First, she asks to be called Evelyn so that she can distinguish herself from the many other Marias. Secondly, she decides not to work in her mother and stepfather’s bodega, and instead takes a job in another local shop. But that’s just the beginning. First, her grandmother arrives, complicating the relationship between Evelyn and her mother. And then a group of Puerto Rican Nationalists and social activists (the Young Lords) begin advocating for political and social reform. As Evelyn becomes more interested in the Young Lords, her grandmother teaches her the truth about her family’s role in the Puerto Rican Nationalist movement. Recommend Manzano’s novel to middle school-age readers who are interested in 20th century history and the role of activism in shaping public opinion. Pair this book with Frances Temple’s novel, A Taste of Salt: A Story of Modern Haiti – another excellent novel about social justice movements and the evolution of political consciousness. Inly’s middle school students are studying World War I. They are reading “In Flanders Fields,” studying the map of Europe in 1914, and trying to wrap their heads around the unfathomable number of the dead and wounded. 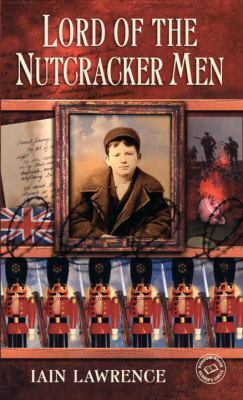 In literature class, the students are reading The Lord of the Nutcracker Men by Iain Lawrence and War Horse by Michael Morpurgo. There is even a small group of 8th grade students reading the classic novel, All Quiet on the Western Front. 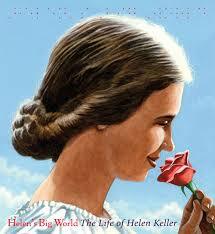 On Feburary 12, the sequel to Hattie Big Sky – Hattie Ever After – is being released, and I can’t wait to read it. In the sequel, Hattie moves to San Francisco to follow her dream of becoming a reporter. I’ll “report” back as soon as I read it. One of my favorite moments of the year is in mid-January when the winners of the Newbery and Caldecott Awards are announced at the Midwinter Meeting of the American Library Association. This coming January promises to be a little more eventful because there is also a Presidential Inauguration to look forward to. Such fun to begin 2013! I’ve been thinking about the results of all three elections – the Newbery, the Caldecott and the Presidential – but I will only share my hopes for the book awards. After reading many beautiful and wonderful and memorable books this year, these are the two that, in my opinion, should receive gold (or silver) medals. I can’t think about this book in public because – truly – if I do, I will start to cry. Just writing about it makes me kind of “feel it” in the pit of my stomach. 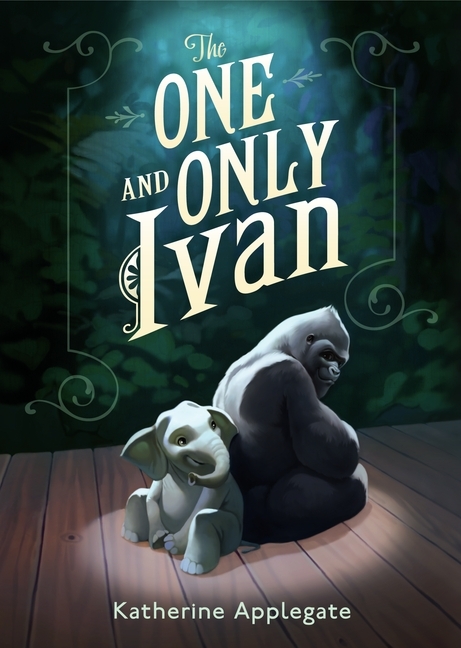 A bittersweet story of Ivan, a gorilla who lives at the Big Top Mall, and his friendship with Ruby, a baby elephant, is one of those books that reminds you of the power of kindness. An extraordinary book about friendship and courage and art and animals. 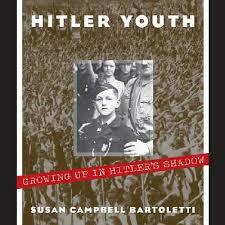 I saw this book in a store before ordering a copy for Inly’s Library. I had already read reviews and planned to purchase it, but then I saw it in a display and knew right away that Wolff’s book was one of the special ones. 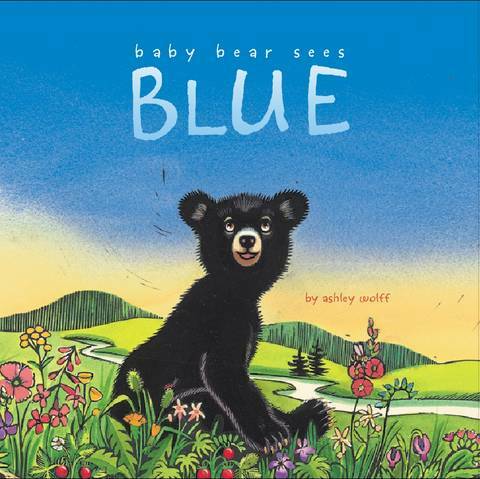 A cozy concept book that introduces young children to colors. Yes, that’s been done before, but not like this. It’s the bear. He’s not just cute – but mesmerizing. Wolff uses both block prints and watercolors and every page is suitable for framing. We’ll see what happens in January. And in the case of the Presidential election – we’ll know next week! Casting my vote for a president, or a United States Senator is easy compared to this. I seldom, if ever, waver once I’m in the voting booth, but this one was a different story. Have you seen NPR’s Best Teen Novel ballot? 235 novels are listed. You can vote for 10. The idea is to come up with the 100 best novels ever written for young adults. I voted yesterday and thank goodness it was a cloudy and rainy day. I needed time. As the article points out, there are a few novels on the list of 235 that are not always considered to be young adult. Like A Catcher in the Rye. Of course, the protagonist is a young adult, but I wouldn’t look for Salinger’s novel in the YA section of the bookstore. A good case is made for Holden’s inclusion on the list. My own “top 10” resulted in a strange list because I had 20 books that had to be included. I ended up just popping checkmarks next to 10 of them. No declaration of party affiliation required. You can vote from the comfort of your closest device. Go vote!